Every year the new trends in technologies appear, replacing each other and this process seems to be unstoppable. Since Android has been introduced several years ago, it made a revolution in mobile operating systems. Many things have changed since that times but one remains the same – Google does its best to blow users minds. This year is not an exception, so let’s discuss the latest Android development trends to understand what features to add into your Android app to make it stand out from the crowd. What is Instant App? This technology has been first introduced at Google I/O 2016 and currently, only the latest Android devices starting from 5.0 Lollipop are supporting Instant Apps. Android users can now run apps instantly, without installation. Why do users like Instant Apps? Imagine the situation when you are out in town and you need to use certain app, but you don’t have it installed on your device. Downloading an app using mobile data may be too long if the connection isn’t good enough but Instant Apps don’t require being installed on your device to work (only a small fragment of the app gets downloaded). Instant Apps can be easily opened by clicking on a link or just searching in the web. You are provided with quick access to Android apps without downloading the full-size app to device. Instant App opens like a usual web page, so it requires less traffic than an entire app. Your Android device will have more free storage, instead of being full of various apps, you have used only once. Now let’s discuss Android Instant Apps from the developers’ side. Android Instants Apps require the same APIs and source code and don’t need the separate app version to be created. That means you develop one app and can reach twice more users: those, who will download it and those, who open it from web search (and might download it later if their experience was positive). It’s not necessary to download an app for using it, why should people do that? In this case, the excessive use of an Instant version of an app may lead to the decreased revenues of the developers, as people tend to spend more in the familiar and frequently used apps. That’s why developing an Instant App would not fit every developer’s needs. But who will surely benefit from this new technology – is Google, owing to increased web searches. Nevertheless, the technology of Instant Apps has an indisputable potential. Here is the Google’s guide on Android Instant Apps development (Support Android 8 Oreo). Nowadays, when users possess several devices and change them almost every year, one of the most adorable features that keeps us calm is cloud support. Just try to remember the last time you’ve bought a new smartphone and had to install all the apps on it from scratch. Remember the pleasant feeling when you’ve opened each app and all the information has been saved? Accessing the apps on multiple devices without losing any data is the main feature of cloud support. Considering the amount of personal data that we store in our smartphones and other devices, developers have to secure the exchange of personal information over wi-fi networks. The growth of the mobile industry has also brought inevitable information threats and attacks. Just remember the cases when hackers kicked up the dust stealing the personal information of celebrities by hacking their Google and Apple accounts. Sometimes, breached app security can harm our hardware, wallet or even our health. That’s why app developers are expected to implement a stronger encryption of data and constant security updates to preserve privacy in mobile apps. Plenty of developers are interested in the use of location-based services to enhance users experience as they expect real-time information. The huge success of Pokemon Go has only proved the high demand of such apps and games. The location-based services(LBS) can be implemented in a variety of areas like indoor mapping, retail, marketing, navigation, tourism, payment portals and more. 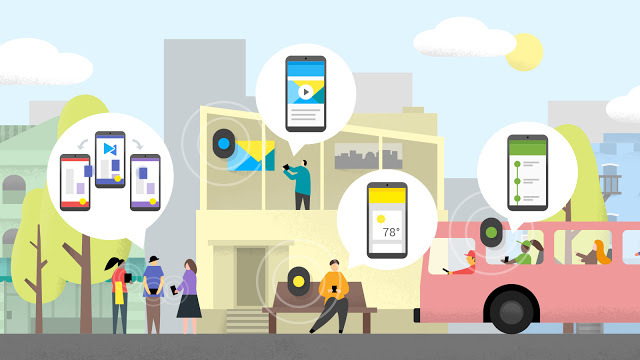 In addition, Google introduced the beacon platform that helps apps and devices to work smarter due to timely and contextual information. To simplify, beacons are used to define the precise location and contextual cues within apps and help users to navigate the world. How it works: when your device appears in the range of a beacon it gets the updated information about your current position and what’s around. You can connect the physical beacons with your app the Beacon Dashboard or Proximity Beacon API. Swift is known to be the language for iOS and MacOS development, as it’s been introduced by Apple. But lately, Google announced the possibility of making Swift the first-class language for Android development. Google considers Swift to be the language for developing native apps for Android. Now, this role is played by Java. In late 2015, Apple opened the Swifts’ source code, which means that Google can freely use the language for Android development. Using Swift might be very handy when developing apps for both iOS and Android platforms. The first reason is saving time for development of two separate apps, and the second one is the simplicity and no need to learn more programming languages. 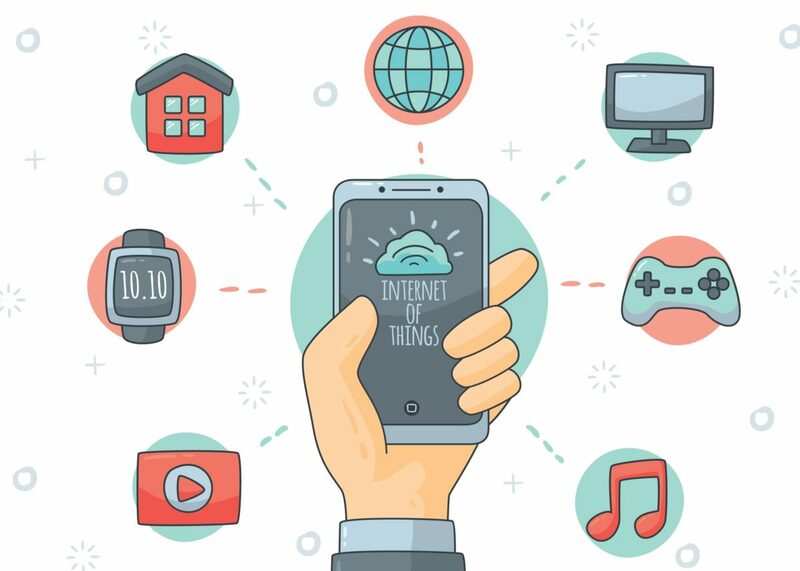 The use of internet of things technology grows so fast, that by 2020 an average smartphone user is expected to have at least 6 active connections. It’s been predicted that smart homes and smart offices are just the beginning of building “smart cities”. Google has already developed several own smart devices that can be easily connected to your smartphone like Google Home, Nest Thermostat, Nest Cam and others. Since IoT can not only simplify our home and work routine, it can also leverage your business. Applications today are developed not only for smartphones but also for tablets, wearables and smart devices. The variety of possible devices working on Android is constantly growing and as you must have noticed, apps are becoming smarter. So we keep tracking of the trends and share it with you. If you have a winning idea of an app, don’t waste your time and contact us to bring it into life! Elena is the business analyst passionate about everything connected with startups, business ideas, and analytics. She’s aiming to find the solution for every challenge, young companies meet on their way. If I want to make an application on the customer support then what will be the possibilities of success of that application? I have to make an application for my support website on the demand of my customers. Mobile Apps are the quickest and most effective way to reach, engage and keep your audience. Love the post good job. Google began Accelerated Mobile Pages extends a year prior. Additionally, Google has likewise reported an alternate look record for versatile web. This progressive activity taken by Google has changed the patterns of Mobile application advancement in a noteworthy way particularly from Web application and SEO point of view. These Accelerated Mobile Pages (AMP) upheld web applications can get stacked substantially quicker on mobiles and decrease a huge skip rate. This besides, will profit the distributes with more guests and expanded promotion permeability. Thus, this propelled AMP innovation will be in the best number on the portable application advancement drift list. I completely agree to the point that while instant apps are a new feature to look forward to, it will surely have detrimental effects on developers. But apart from that, we will still be looking at many more good innovations in android development this year. Whether it is increased usage of cloud based services, new AI techniques, new applications of IoT, implementation of swift, etc there are so many innovations to look forward to this year. Hoping to see many more soon. Elena, How to find a list of Android 8.0 new features for application development? Android 8 has lots of amazing feature like its releases security updates every month and so many things. Android is the best for developing apps as market demands android apps more.